Professor and former Assistant Dean Lavone Warren will retire on June 30 after thirty years of service to Samford University’s Cumberland School of Law. Since joining the Cumberland School of Law faculty in 1986, Professor Warren has taught a variety of courses and held multiple administrative roles. Although her experience and expertise are in transactional and securities law, she has taught a wide array of courses that include not only Business Organizations and Corporate Finance, but also Civil Procedure and Professional Responsibility. Professor Warren assumed the role of Assistant Dean in 1989, which she maintained until 2014. In that role, she oversaw the law school’s Continuing Legal Education, or “CLE,” program and created numerous events that became mainstays of CLE in Alabama, including bankruptcy and health law events and the now famous CLE-by-the-Hour. Professor Warren is also one of the founding professors of Cumberland’s Lawyering and Legal Reasoning, or “LLR,” program, a six-hour graded course for first-year students that provides hands-on, practical experience in basic skills. She volunteered to serve as an LLR instructor during the program’s formative years, thus helping to shape it into the unique, effective program it is today. Professor Warren also served a short stint as Associate Dean of Academic Affairs on top of her CLE duties and her partial teaching load. She served in all of those capacities from July 1991 to December 1992, at which time she gave up her Associate Dean duties. 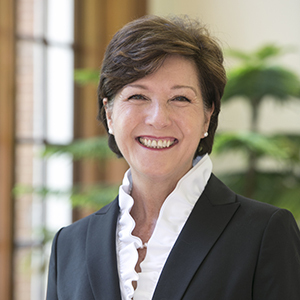 According to Cumberland School of Law Dean Henry C. “Corky” Strickland, III, while Professor Warren will be remembered for her outstanding teaching and her many administrative accomplishments, she will most be remembered as a friend. Following her retirement, Professor Warren and her family will continue to reside in Birmingham. A retirement reception will be held at the law school in the coming months.